The Popular digital portfolio app Seesaw is now available across different platforms including besides iOS, Chromebooks, Android and the web ( Chrome and Firefox). If you are using Chromebooks in class, Seesaw can be a great tool for students to document what they are learning using a variety of multimedia materials such as text, photos, links, videos and many more. Everything is then uploaded and kept organized for teachers and parents to check. 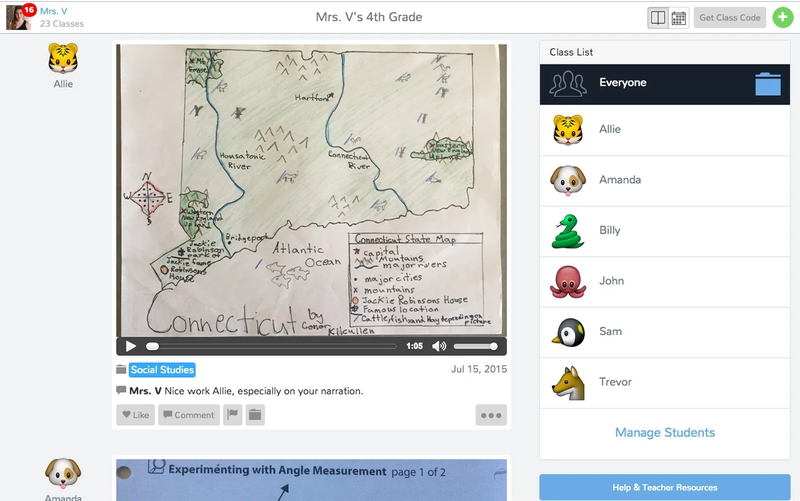 Students can use photos, videos, drawings, text notes, links or PDFs to show what they know. You can also import directly from over 100 other apps. 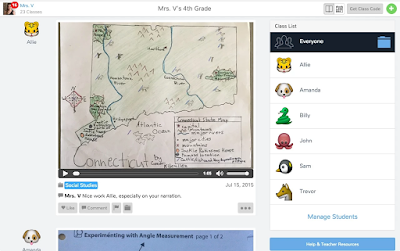 Teachers can browse work from the entire class or for a single student. Optionally, use folders to organize work by subject area or project. Younger learners or classrooms with shared devices can sign in with a QR code. Older students can sign in with their existing Google Account. Students can use Seesaw’s built-in audio recording and drawing tools to reflect on what they've learned or explain how they got their answer. Include families in the learning process by inviting them to view updates to their child’s Seesaw journal. Seesaw’s immediate, visual updates actually get seen by parents, provide encouragement for students, and cross language barriers.